Volvo, founded in 1927, is Swedish famous car brand. The vehicle produced in Volvo is the safest one in the world. Volvo is not only the biggest auto enterprise in Nordic, but also the largest industrial group in Sweden. 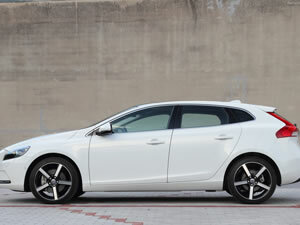 The front-wheel rim brake of Volvo in China is ventilated type. The rear-wheel rim brake is disc type. The steering is equipped with electronic hydraulic. Volvo wheel rim is made of steel. Temporary spare tyres are provided. Wuxi Hengsheng Wheel Co., Ltd is a professional Volvo steel wheel rim manufacturer and supplier in China. In addition to Volvo steel wheel rim, we also provide other famous models steel wheels (rims) for our clients around the world, like Chrysler (DODG, PLYMOUTH) steel wheels (rims), Daewoo wheel (rim), FIAT style wheels (rims), Ford wheel (rim for Mercury), Geely wheel (rim), Honda wheel (rim), Hummer wheels (rims), HYUNDAI wheel (rim), Infiniti wheel (rim), JEEP wheel (rim), Kia wheels (rims), Lexus wheel (rim), etc. We possess a professional technology team to guarantee the manufacturing of Volvo wheel rim. We will checkout all the products and give out a survey report. According to the needs of every client, there will be a dynamic balance sample survey among parts of the qualified Volvo wheel rim.